Finding Relative Peace at La Tasse Gamine Play Café | Destination Recreation | Kids VT - small people, big ideas! 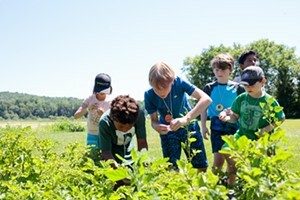 Fun family activities abound in Montréal. But, with two children under the age of 4, I cherish downtime. So when my family heads north of the border, we stop at La Tasse Gamine. 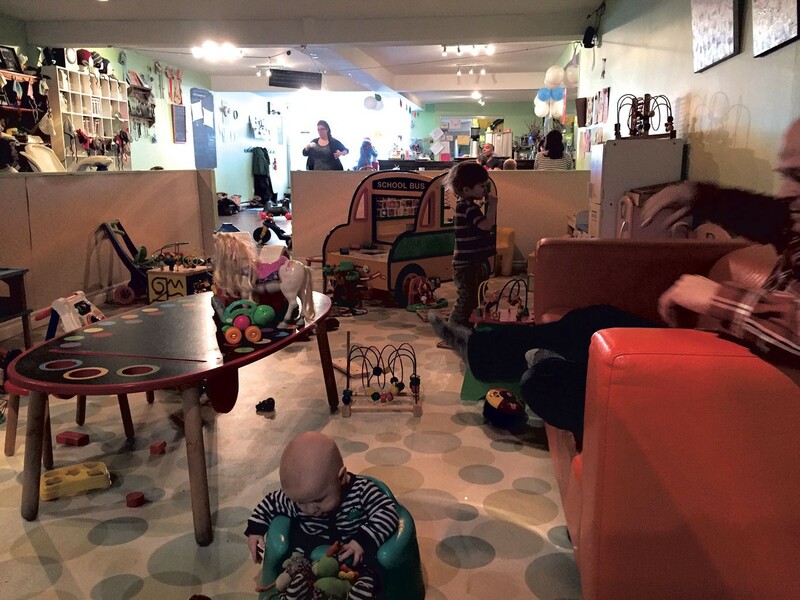 It's one of several play cafés in the city — refuges where kids can safely play while parents sip their café au laits in relative peace. 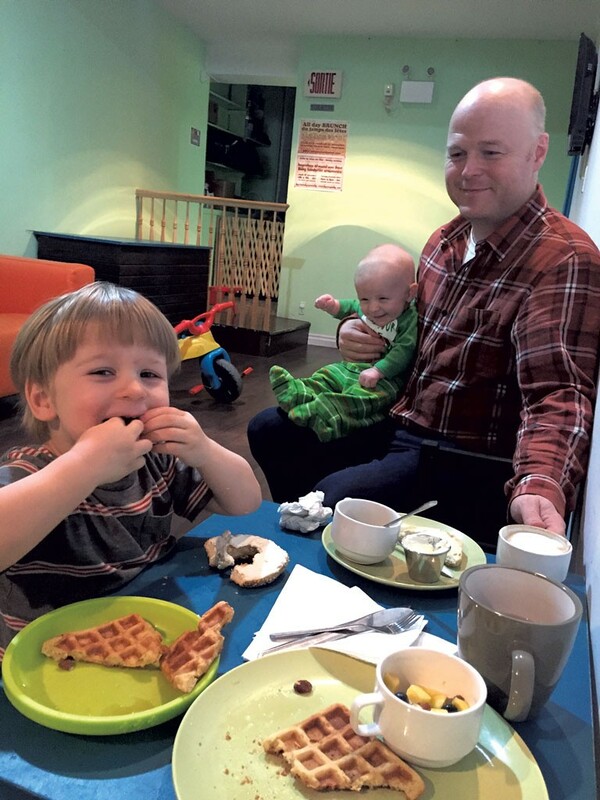 Located in the heart of the trendy Mile End neighborhood, the basement café is often packed with parents, babies and toddlers. Thankfully, a half wall contains a large play area with everything from a school bus-themed play structure to dolls, trucks, blocks and a treasure box of dress-up clothes. Arriving after a long car ride, I hastily ordered lunch at the counter, then headed to the back to nurse 3-month-old George. We settled into a recliner, where I was able to watch my other son, 3-year-old Levi, as he explored the bus. My husband found a comfortable perch on a nearby couch. Riding toys — from walkers for the barely mobile to Big Wheels for older kids — are strewn about the space. I plopped George into one of the many ExerSaucers, bouncy seats and Bumbos that provide resting spots for babies. Our lunch of waffles, fruit cups, a bagel with cream cheese, and a cappuccino and hot tea took about 20 minutes to arrive. In the past, I'd really enjoyed the food, but this time the waffles were overcooked and the fruit cup consisted of raisins and underripe cantaloupe. But we were there for the laid-back environment, not haute cuisine, so we didn't mind. With a cranky baby and a rambunctious toddler to contend with, it wasn't exactly relaxing. But it would have been much worse had we tried to eat lunch elsewhere. Nobody in La Tasse Gamine cared that Levi was running around, or that George cried and spit up all over me. In fact, they didn't even notice; they had their own kids to worry about. La Tasse Gamine opens at 10 a.m., Tuesday to Sunday, and is closed on Monday. Closing times vary. The café caters to children ages 6 and under. Guests must make a minimum purchase of $7.50 Canadian, or pay a $3.50 fee to enjoy the play space. UPDATE: La Tasse Gamine is closing its doors at the end of March.